The most invasive procedure is Open Heart Surgery. 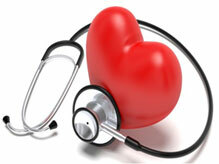 If diet and exercise are not effective in treating heart disease, medication is usually prescribed. If the heart disease still persists in causing pain, an invasive procedure is usually performed. To locate the arterial blockages, coronary arteriography (mapping of the coronary arteries) is done using a procedure called cardiac catheterization. A doctor guides a thin plastic tube (called a catheter) through an artery in the arm or leg and leads it into the coronary arteries. Then, the doctor injects a liquid dye through the catheter. The dye is visible in X-rays which record the course of the dye as it flows through the arteries. By mapping the dye's flow, the doctor identifies blocked areas. Once the mapping is done, the doctor can decide the best course of action. Percutaneous transluminal coronary angioplasty (PTCA) is also known as angioplasty or balloon angioplasty. The doctor inserts and guides a catheter toward the blocked area of the artery. Then a second catheter with a small balloon on the tip is passed through the first catheter. Once the balloon tip reaches the blocked area, the balloon is inflated. This compresses the plaque build-up, widening the artery for blood flow. Finally, the balloon is deflated and removed. A surgeon takes a healthy blood vessel from another part of the body (usually the leg or inside the chest wall) and uses it to construct a detour around the blocked coronary artery. One end of the vessel is grafted (attached) right below the blockage while the other end is grafted right above the blockage. As a result, blood can flow to the heart muscle again. In a double bypass surgery, two grafts are performed. In a triple bypass, three grafts. In a quadruple, four grafts.